Is Norfolk's Muckleburgh Collection haunted? 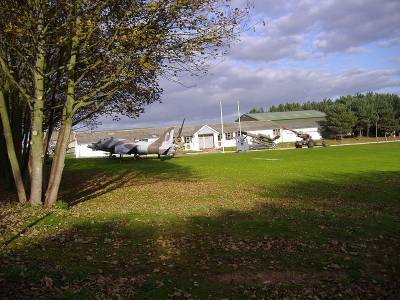 The Muckleburgh Collection is a military museum that opened in 1988 and is sited on a former World War 2 anti-aircraft training camp in Weybourne, North Norfolk. The site was first used in 1935 and by 1937, with the threat of war, the site was made permanent and fitted with more structures and defenses. Winston Churchill even visited in 1941! The site was used for training right up until 1960 although much of the camp & defenses have now been demolished. Staff at the museum have experienced many phenomena over the years and - quite strangely - the hauntings are seemingly becoming more intense... Spirit lights have been seen around a WW1 pill box, and these are said to be caused by the spirits of some army girls that were killed in action. Also experienced are unexplainable sounds and cold spots around a Russian T34 tank, sounds of an iron gate slamming, loud footsteps - thought to be the museum founder; Berry Savory - heard down a short corridor that leads to an office that's plagued by poltergeist phenomena. It's no surprise that there's this much activity, considering the violence that's taken place here, or perhaps it's just caused by one man who founded the museum and refuses to leave..?